Look at yourself in the mirror and ask the hard questions. Do you truly want to follow your passion? Are you mentally prepared for what may seem like the challenges that will arise as you follow your passion? Sure you’ve finally defined what your passion was and yes you’re great at your passion, but do you truly want to put in the grit and grind to make it apart of your life? You’ve always heard the saying, anything worth having is worth fighting for. It’s no less than the truth when it comes to following your passion. It’s like going after anything else you want in life. You’ll have to put in the hard work, the tears, the sweat, the grind. There will be disappointments, but the efforts to succeed must take place first. Yesterday I was thinking about this young lady I’m in contact with from time to time. She’s a very bright young lady with lots of potential. Whenever we see each other we discuss writing. She knows I am a writer and she wants to become a published writer. We share information and she inquires about the writing/publishing process. She repeatedly tells me what she’s going to do with her writing. We’ve been in contact for approximately three years now, but she still hasn’t quite started on her journey to becoming a published writer. I’ve read her work and she has the potential to be a great published writer. Notice I said she has potential. I’d expand that to say she has a lot of potential energy. Potential energy is energy that is stored within an object. It isn’t necessarily being used, but it does exist. It lies dormant just waiting for something to use it. But what about her kinetic energy? 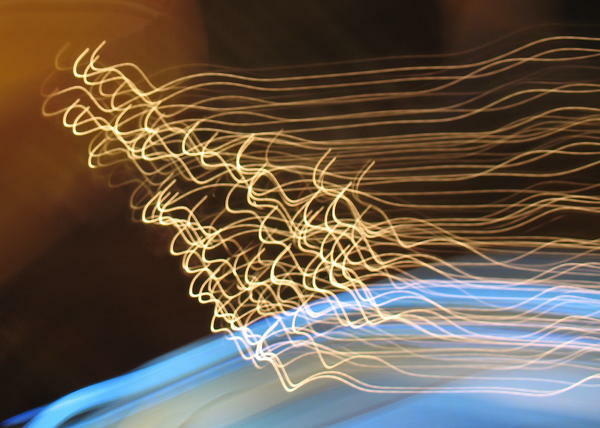 According to physics, kinetic energy is energy in motion. It’s actually doing something with the energy that has been stored. It’s moving from point A to point B. In the case of following your passion, it’s actually taking the necessary steps to achieve the goals of your passion. An idea is just that until it’s implemented. Passion is almost useless if you’re not actually doing anything with it. It’s still passion, but imagine the feeling that is received when the potential that exists within it is actually used. To the young lady and others that are seeking to live out their passion, I strongly encourage you to take that first step in living that passion out loud. If you want to be a writer, write and submit it somewhere; start your own blog. If you’re a great cook, cook your dishes and solicit business to cater or sell your food. If you’re a singer, sing and find somewhere to perform. If you’re an artist, create your art, and find an avenue to share it. Don’t let your passions lie dormant. Don’t allow the potential they have to go nowhere but around in circles in your head. Do something with your passion today! Be able to say you’re using your potential. Let people see your potential at work – in motion. First up for my series of PASSION LIVING: IN LIVING COLOR is ANTOINETTE MERCEDES from Memphis, TN. I met Mercedes when I was casting for an upcoming short film I’m co-producing. Beyond her strikingly beautiful look, her energy is so endearing. You can’t help but to want to know more about her. I was introduced to her as a model, but I quickly learned that there is so much more to her. When I thought about people to help get this ‘IN LIVING COLOR’ series rolling, she was one of the first to come to mind. She is definitely doing her thing and making the best of her passions; her loves… Check out the interview I had with Mercedes. I have many passions, but if I had to put them all into one word category, it would be ART. I love everything about art. Poetry, writing, photography, modeling, acting and music. Those things are my passion. What are some of your past or current projects that display your passion? As of right now, I am working on several things. I am promoting myself in my modeling which has opened doors to many promotional and exclusive gigs. I also write music for local artist and I am looking to expand on that. I am also working on completing and publishing my first novel. Have you always been in tune with your passion? Yes! When I was in kindergarten, one of my assignments was to write a short story. My story was called Queen Witch. It was about a little girl meeting a woman who the town thought was evil but in reality, she was just sad. I still have that paper book. I have so many stories and poems that I’ve written. My mom would laugh because like most kids, my room was always junky. However, it wasn’t filled with toys and clothes. It was paper, pencils and crayons. Lol. It was all over the place. 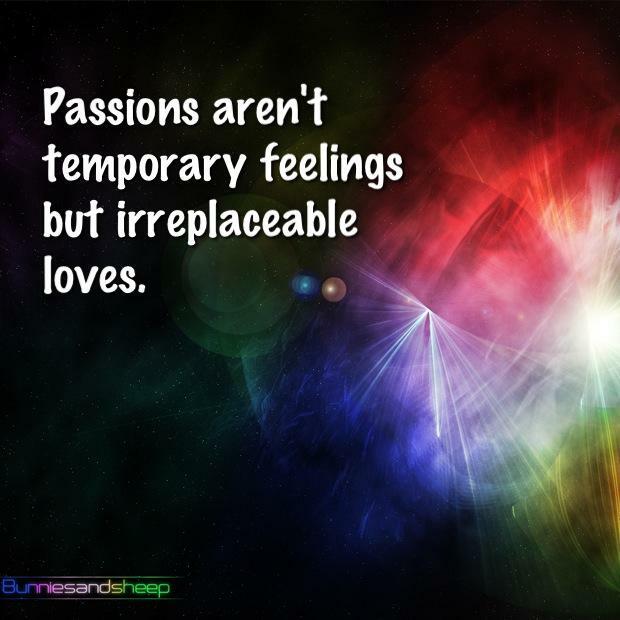 Can you recall when you first realized it was your passion? I don’t think I realized it until I was in high school. I went to a performing arts school and was enrolled in their Creative Writing program. I was surrounded by teenagers my age who loved what I loved. And they pushed me to be better and think beyond what was in front of me. Who/What inspired you most to live out your passion? ME!!! I know some people look at what I do as a waste of time. And I get little money for it. But there are also people who don’t have the love of what they do and they are miserable. I don’t know what I would do if I didn’t have art. I honestly believe that without it, I would be worthless. Art inspires me and my love for it drives me to continue doing what I do. What have been some of your greatest challenges, if any, in following your passion? How did you overcome those challenges? Balance. I work a full-time job and I do my art on the side. So I keep myself pretty busy. Its finding balance to keep my sanity, spend time with family and friends that has been the greatest challenge. I’m naturally a mover. And sometimes it wears me out. Have you been able to expand your passion into other things? I have. Initially, I started out as a model. I was about 17 when I met a photographer and it seems like all the doors opened. He introduced me to directors. So, I got into acting. And they would introduce me to artists, so I got into video modeling and writing. And it continued to grow and people would continue to refer me to others. It’s been an amazing journey and its not over. What do you hope to be doing with your passion in ten years? Well, my plan is to get back into school. I want a degree in Sociology/Criminology and a minor in Creative Writing. I’m hoping to get more work published and possibly begin a coaching program for inspiring models. In my eyes, the world is limitless. I’ll go after everything until I can’t anymore. 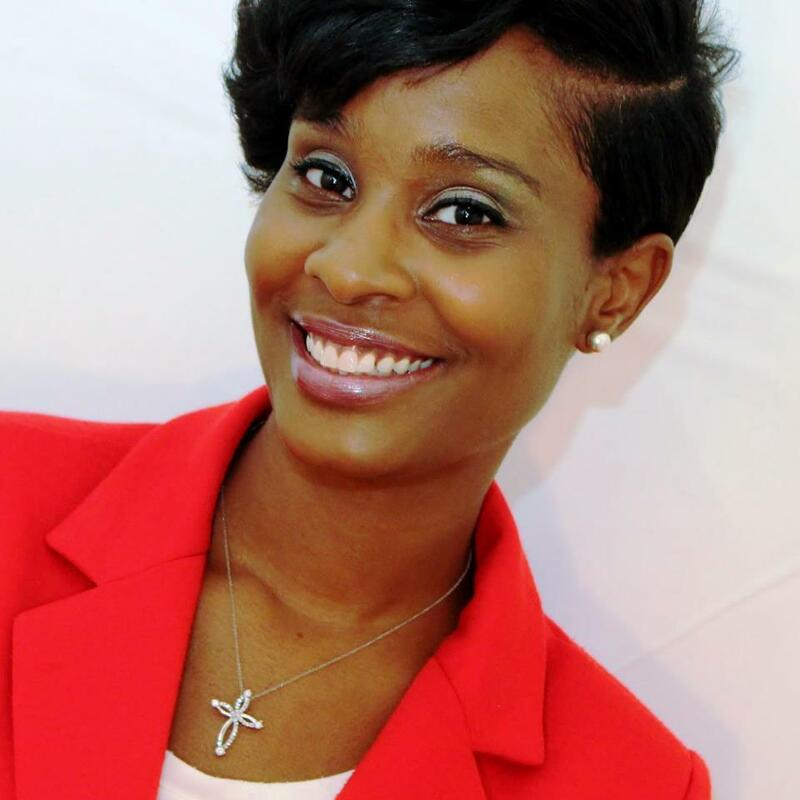 Kudos to Antoinette for following her passion in LIVING COLOR! We hear you loud and clear! When I started this blog, I didn’t want it to just be about me. Sure I believe I have much to share and hopefully to inspire others to follow their passions, but I wanted to use this blog as a way for others to infuse that spirit in others as well. I’ve started a series called: PASSION LIVING: IN LIVING COLOR, where I’ll post quick interviews from ordinary, every day people that are clearly living out their passions. They’ll get an opportunity to share what their passion is and the journey to defining it and beyond. It’s easy for me to say do this and try that, but seeing others do it could be just as empowering for others. Heck, I want them to inspire me to continue. You’ll read the voices of people who have crossed my paths and hopefully some that I hope to encounter as I travel along my journey. It’s so important to do the things that make you happy and hopefully the PASSION LIVING: IN LIVING COLOR series will help you see that more and more! But more importantly, make you DO. Have you ever paid attention to how your positive thoughts can even make a sticky situation much easier to handle? Easier said that done, I know, but it’s no less than the truth. This week I’ve been reading Joyce Meyer’s “Battlefield of the Mind”. It’s a little over a decade old, but many of the teachings within the book reign to be THE TRUTH. It reveals concepts you’ve heard all your life probably, but it definitely made me become more insightful about my thought patterns and how they affected what I did, how I accepted different situations, and the potential for my future. You are what you think and your outcomes follow as such. So many times in my life, I allowed they way I thought restrict me from moving forward. In one of my previous posts I talked about my defeatist attitude towards being able to self-publish my first novel, “Enough Time”. I literally spent five, almost six years, thinking or anticipating failing at being able to publish, when all the while I just needed to be more positive about the way I viewed the opportunity. Once I changed my thought process, the more I began to speak positivity into publishing my book, the more doors opened and the easier it became. The point was as simple as, I wasn’t moving forward because I didn’t think forward. Following and living out your passion is no different. To find the trail to living out your passion a little more smooth than it has to be is to believe it can be smooth. Now… I say that not to exclude the potential for challenges to arise, but to know that your thought process will determine how quickly you’re able to jump over those challenges. A more recent example of negative thinking and seeing its outcome was when I had the opportunity to publicly sing for the first time in many years. I’d call singing a sub-passion. I love it, but it takes a back seat when it comes to my writing. There I was two months before my performance pumped about the opportunity, but almost sure I wouldn’t do as well as I wanted to. “You’ve been out of the game so long, you’re going to be a little shaky.” “The other women on the line up are beasts in comparison to you, Christin. They’ve been doing this so long and consistently.” “You shouldn’t even be on the stage with some of the women you’re performing with.” I spoke these negative thoughts to myself and low and behold I didn’t do as well as I could have. I didn’t bomb, but I spoke enough negative energy into the process that it manifested in my performance. When it was all over, I knew what I had done. I’d defeated myself before I even gave myself a chance. 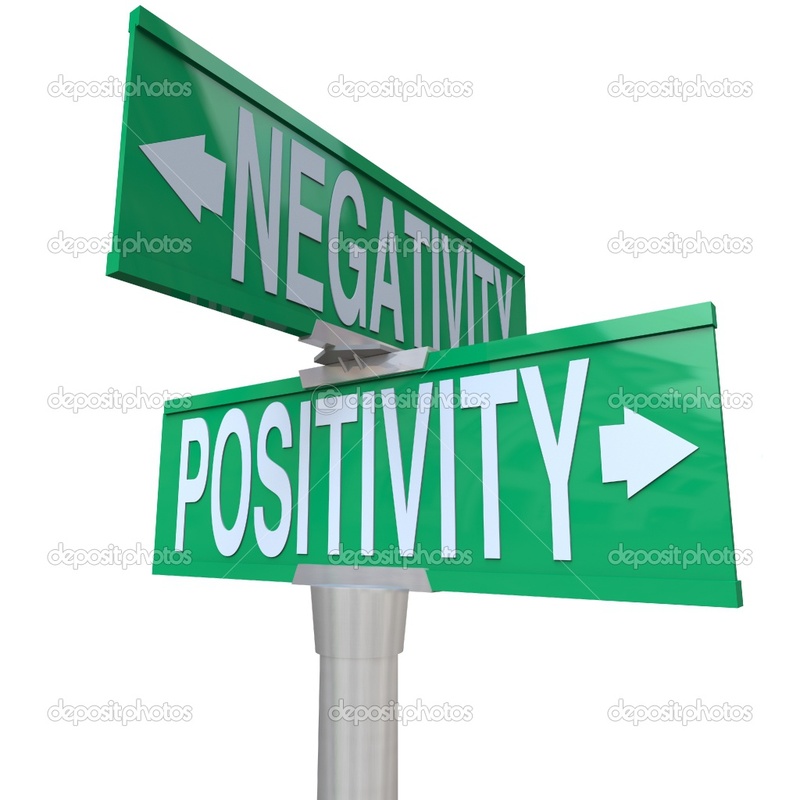 Negativity never fostered good outcomes, but nurtured strongholds. Positivity has and always will reign. Choose it as you continue PASSION LIVING OUT LOUD! You can’t wake up one day and say you have a passion and the next day say it’s not. It’s more than likely just a hobby and not a passion. Passions are things/activities that completely keep you connected to self. They can’t be replaced by anything else. Possibly expanded into new things, but never replaced. If you ever find yourself saying that maybe a once perceived passion really isn’t that, just begin the re-evaluation process again to better define what it is that never leaves you. Your passion. When was the last time you would say you failed at something? Was it yesterday, today, maybe it will be tomorrow. Let’s say it was when you didn’t get that last promotion you wanted. Or was it that cute man or woman you were rejected by when you asked for their number? Did your first business take a huge loss it’s first year? Failure is a part of life, but so is moving forward. Maybe your perceived failed times or pitfalls were truly your moments of prevailing on to the next step; the greater step. They were your moments of progress to the next phase in life that you needed to be stronger for. Every time you think you’re going to bump your head or you actually do, it’s really that opportunity to toughen that sore spot to make it stronger. Here’s a weird, but perfect example. When my dad first got his dentures he hated them, especially when he ate. He hated them so much that eventually he refused to wear them whenever he ate. He didn’t like the discomfort in trying to chew his food with the distracting porcelain in his mouth. Over a period of time, he learned to eat without them almost perfectly. I thought it was the oddest thing to do, but once he told me that his gums had toughened up so, that he actually didn’t need his teeth to eat. It was similar to how an infant eats without its first shimmering tooth. The gums become stronger and stronger over time once faced with a choice. They were either going to eat or not eat. I laugh when I think about it now, but bumping your head repeatedly is the same thing. Eventually, you learn how to work around that wall you keep running into. You find an alternate route. You’re either going to continue to fail or eventually figure out a way to succeed and actually progress in life. I remember when I first decided I wanted to take my passion for writing to a new level. What was that level? I wanted my writings to be available to a more broad audience. You know, more than just my family and friends. I had a strong desire to share my thoughts and what I felt had become my insights on life and various situations to more than just those that knew me. On a more grand scale, I wanted to share with the world! Humph… Sounds easier than doing I know. I was under the impression that I didn’t have enough money to share my voice with the world. I spent about two years complaining how hard it would be to publish my novel, “Enough Time”. I spent about three years prior writing it and I spent the next two convincing myself that I couldn’t publish it because I didn’t have enough money. Talk about self-defeat. Within those two years though, I began opening doors for myself that I wasn’t even aware of. I figured if I couldn’t publish my novel (just yet) I’d at least share my short fiction on the web. Hallelujah for social media and blogs! In 2010, I started my first blog and posted my short fiction. I used it for two things, 1) to share my voice I so desperately wanted to do and 2) to better prepare my craft for the world to see. My blog, “Is It Real?” became my canvas for practicing my craft. And as the years went on, I would say, I got better and better. I gained a small following and more confidence in my work. I even began feeling I could get my work published. I didn’t necessarily have the finances all worked out, but my belief that it could be done increased. Before I knew it I’d caught the eye of an investor. The investor wasn’t a wealthy person, but they were willing to take a chance on my work. After two years of maintaining my blog a door, not a window, but a door of opportunity appeared. 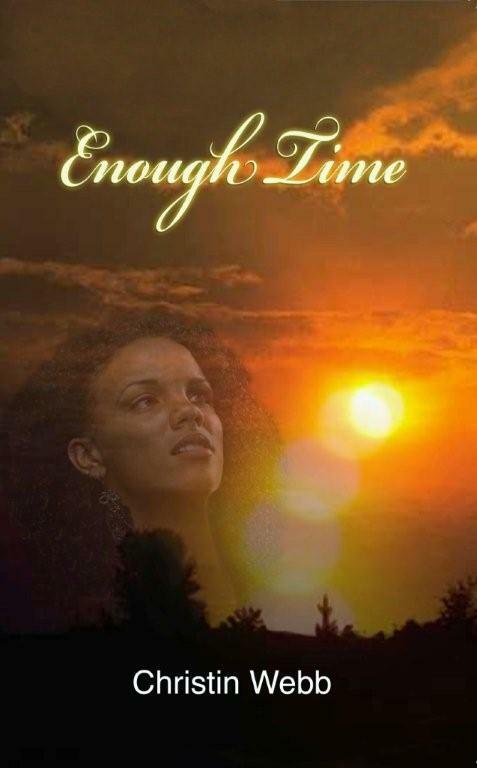 A year later, I was able to publish my first fiction novel, “Enough Time” in print and eBook. Talk about walking in faith. Sometimes our goals may be a bit out of reach at different points in our life, but that doesn’t mean to give up on them. It may just mean taking alternative routes to arrive at their front door. My alternative route was my blog, “Is It Real?” It didn’t cost me a dime, just diligence and time. The entire process of publishing my novel was more than just putting words on paper, securing an editor, re-writing, choosing a publisher, etc. It was a journey to being more faithful about what God has in store. Start walking before you take off on that run. Don’t let your doubts hinder you from living out what is meant for you. Money nor worry nor doubt is more important than creating opportunities for doors to open! What is passion living for me? When I was seven years old, I first picked up a pen. It may have even been a pencil, but I never let it go. I used the pencil to release the thoughts that consumed my mind to a more visual form. Poems, short plays, whatever a child’s mind could create, I wrote it with that pencil. Before I knew it, I grew to be ten, twelve, fifteen… By age sixteen, I was writing longer plays, short stories, and what I hoped to become published novels one day. The writing never stopped. I never let go of that pen. Around my late teens early twenties, life began to shake me up a bit. I was learning a whole new world, learning an entirely new type of story to write. Ironically, I paused from creating the visual form of my thoughts. The pen was still in my head, still crafting words I’d put on paper later on. My experiences had grown like mountains and so did my thoughts. Mid-twenties came and went igniting a new growth in me and my writing followed. The point is, I never let go of the pen. I always reverted back to writing; creating a visual form of my thoughts. Now I am very aware of what my passion is. I don’t construe it to be a hobby or some temporary state of happiness. It is my passion. This is what having a passion is to me. It is that relentless action of hope that keeps you moving forward. It keeps you grounded. It keeps you sane. My passion is and has always been writing. You may not immediately realize what your passion is, but just give it some thought. It’s probably something you’ve always done or always dreamed of doing. No person or thing can keep it from you. It is your passion and no one else’s passion. Find a way to live it out. It may just be that world of difference between letting life live through you and you living your life!